Hi everyone! Tomorrow I will be participating in an author blog scavenger hunt. What is that? It’s where you follow links through a list of blogs, read the interviews or special features and find part of a clue. Once you have collected all the clues, you turn them in at the end of the scavenger hunt for a chance to win the grand prize (an iPad mini and a paperback book from every author on the scavenger hunt). What does this have to do with an ebook sale? During the week long scavenger hunt, both of my ebooks will be on sale for $0.99 everywhere: Amazon, Barnes and Noble, and Marcher Lord Press. That’s right, Daughter of Light (Christy and Carol award finalist) and Son of Truth (the second book in the Follower of the Word series) are $0.99. 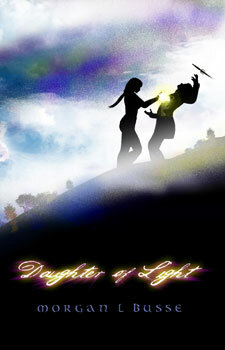 Daughter of Light is the story of Rowen Mar, a woman who can see the soul of a person with just a touch of her hand. 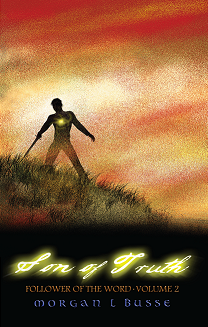 Son of Truth continues Rowen’s story along with Caleb Tala, an assassin and prince introduced in Daughter of Light. I love birthdays, which is kind of funny because I’m not a big celebrations kind of person. But there is something about a birthday: it is one day that is all yours and everyone rejoices with you. I am now a year older, and I don’t mind. Really. I don’t mind getting older. Every year I have more and more things to be thankful for, to celebrate. I am blessed, even with everything that has happened in my life. And with each year that passes, I draw closer and closer to the day when I finally get to meet Jesus face to face, the one that I love. So here is to birthdays! I’m also excited because I just clicked on the winner button for my rafflecopter giveaway. Congratulations, Karen Kahne Shoemaker! You are the winner for the Daughter of Light and Son of Truth giveaway! Whoot! I will be contacting you today and getting those books sent off into cyberspace! For the rest of you, my publisher is running a great deal right now: 25% off almost every Marcher Lord book (including my series). I have personally read almost 1/3 of the titles and slowly making my way through the rest and I can tell you that these are good books. And I’m not saying that because I’m published with MLP. I was reading these books before I was published! If you are interested, here is the link to get the code. To kick off my celebration of October, I am giving away an ebook bundle of my own books: Daughter of Light and Son of Truth, the first two books in the Follower of the Word series. This series follows the life of Rowen, a woman who discovers a mark on her hand, a mark that–when she touches someone–allows her to see inside that person’s soul. If you enjoy Terry Brooks or Terry Goodkind and are looking for a fantasy series that is not YA, then enter and try this one out. When I published Son of Truth, I jokingly told my husband that I would probably receive death threats due to the way I ended the story. I never realized how real those words would turn out to be. No, I haven’t received any death threats. But I had one reader very, very angry with me. So I went back and looked again at my story. Could I have ended it any other way? Was there a better place to conclude Son of Truth and begin book three? Honestly, no. Son of Truth ended right where it needed to before everything starts in book three. So I write this post to assure you there will be a book three. All the story threads that have been woven into Daughter of Light and Son of Truth since the prologue (yes, that is a hint that the prologue is important) will end in book three. Rowen will finally meet the Shadonae. She will discover who she really is and what happened to the Eldarans. Nierne will arrive back in her homeland to find it changed. Caleb will be forging a new identity as a Guardian and an outcast of Temanin. And Lore will find Rowen, but it will be a bittersweet reunion. It is a relief to finally be writing book three. For six years I’ve known how this series would end. These characters have lived a long time in my head and I am both ready and sad for them to leave. Thank you, readers, for joining me on this journey. I want to give you the best, most satisfying ending that I can. I have a tentative title for book three, but am not ready to release the name. Book three will hopefully release 2014. Until then, I will continue writing. I can’t tell you how many times I would lay my head down next to the computer and pray. I wanted to give up. I didn’t know what to write next. And after Daughter of Light was published, I was so discouraged I wanted to walk away from writing and never come back. But God didn’t let me. He brought encouragement via friends and emails. He brought ideas. He brought people who have helped me walk this path. And so I kept writing. Yes, it is really cool to be a finalist for the Carol Awards. I never thought it would happen to me. But I didn’t do it alone. So thank you, God, for another blessing in my writing. I sat at the gas station, waiting for my husband to gas up our van. While I waited, I checked my emails. I thumbed down and saw a forward from my editor. I opened the message. My heart stopped. I read the message again. There was a disconnect between my eyes and my brain. Dan climbed back into the van and started the motor. 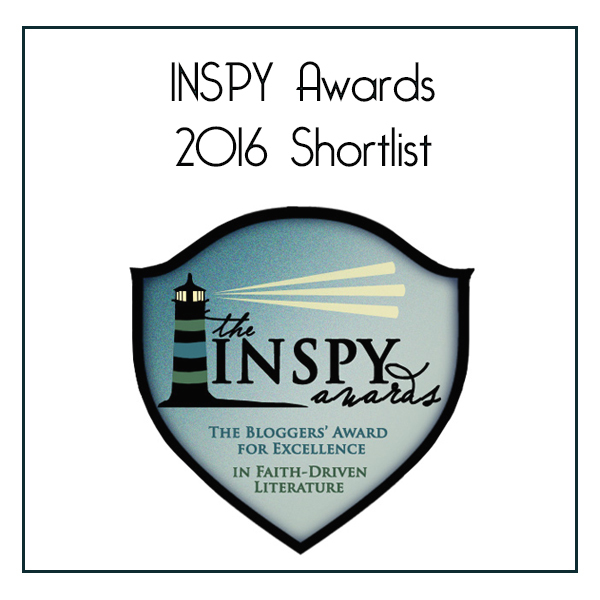 I turned toward him and in a calm voice announced that Daughter of Light was a finalist for the Christy Awards. Dan went nuts while I stared ahead again in absolute shock. It took two more days for the news to finally sink in. I never expected to final in the Christy Awards. In fact, I almost didn’t enter. The day I had to make the decision, God provided everything I needed in order to enter. On November 15th, I wrote this on my Facebook author page: “Had a God moment this week. I had a writing opportunity come up that I could not afford. I told God jokingly that He would have to drop the money in my lap (my exact words). Well, He did, in a way that I would have never thought. And it was the exact amount too. I’m still walking around dazed lol.” And so I entered the Christy Awards. And once again I am walking around dazed. Last week, Daughter of Light hit #1 bestseller in 3 categories on Amazon and #134 overall on Nook. It felt good. But I realized something during that time. Here is what I wrote on facebook: Something I have learned about blessings: enjoy them, don’t horde them. They come and go, so enjoy the moment. Like all things, they will eventually slip away. But if you try to cling to them, you will miss the moment. As the release date approaches for Son of Truth, my publisher and I decided to lower the price on Daughter of Light. If you are looking for a deep fantasy story along the lines of Terry Brooks’ or Terry Goodkind’s style, then check out the first book in the Follower of the Word series. What if with one touch you could see inside the soul? Rowen Mar finds a strange mark on her hand, and she is banished from her village as a witch. She covers the mark with a leather glove and seeks sanctuary in the White City. She lives in fear that if she touches another person, the power inside her will trigger again, a terrifying power that allows her to see the darkness inside the human heart . . . But the mark is a summons, and those called cannot hide forever. For the salvation of her people lies within her hand. Since I’ve been receiving a lot of questions about my new upcoming novel, Son of Truth, I thought I would take today and answer some of them :). Son of Truth will be releasing in three months on April 1st, 2013. Now of course things can disrupt that date, like Jesus coming back (I would love that), or massive computer failure all over the world. But for now, expect Son of Truth on April 1st (and that’s no April Fools!). Secondly, I finally have a name for the series: Follower of the Word. This is a 3 book series, with the possibility of spinoff stories if the series proves popular (in particular, what were the Nordic Wars? How did they start? How did they end? And why are people so afraid of another war like that?). The war in the north is over, but the war for all the Lands has just begun. As the Shadonae solidify their hold on the city of Thyra, Rowen Mar, the last Eldaran and savior of the White City, awakens to find herself hunted by those she has saved. Meanwhile, the assassin Caleb Tala finds himself in the presence of the Word. The time of reckoning has come and he must pay the price for all the lives he has taken. But in his moment of judgment, Caleb is given a second chance to change his life. These two hold the power to save the Lands from the Shadonae. One must escape slavery, and one must choose to forsake everything before the world is consumed in darkness. I never set out to write a “bad boy” character. In real life, I was not interested in them. I had been taught at an early age to stay away from that kind of guy and diligently did so. They were trouble, and I didn’t want trouble. So how did an assassin not only sneak into my book, but also become one of the focal characters? I’m still not sure. As I wrote Rowen’s story, there was another character standing in the shadows. The first time I met Caleb Tala, he had just murdered a man. Really, Morgan? This was not the kind of book I had set out to write. But Caleb would not leave. He intrigued me. A cold-hearted murderer, driven into this profession by his thirst for gold and women. He was ambitious, focused, and prided himself in always getting the job done. But I came to realize Caleb had one fear, a fear no one else knew about because it lived deep inside him: he knew someday he would pay for the lives he took. It came to him at night, when his subconscious would speak to him. He dreamed of his victims killing him. At first, he found ways to suppress those dreams. He filled his life with everything he desired. He used people, money, and power to distract himself. But when Caleb was shipped up north, the dreams came back tenfold. And this time he couldn’t hide from them. When I realized Caleb’s fear, I knew I had to write him. How could I not explore this complex and dark man? I had to know what would happen to him next. And so Caleb stepped out of the shadows and entered my first book, Daughter of Light. I am now writing Son of Truth, the second book in this series. It’s been fascinating to watch his story unfold more and his interactions with the other characters introduced in Daughter of Light. I never set out to write a bad boy character, but here he is. And Caleb is here to stay. How about you? Do you enjoy books or write books with a “bad boy” character? How would you define a “bad boy”? And why do you think readers are enamored with this kind of character?